The Cocoa Beach is a traditional figure-8 layout with beautiful curves & petite size. 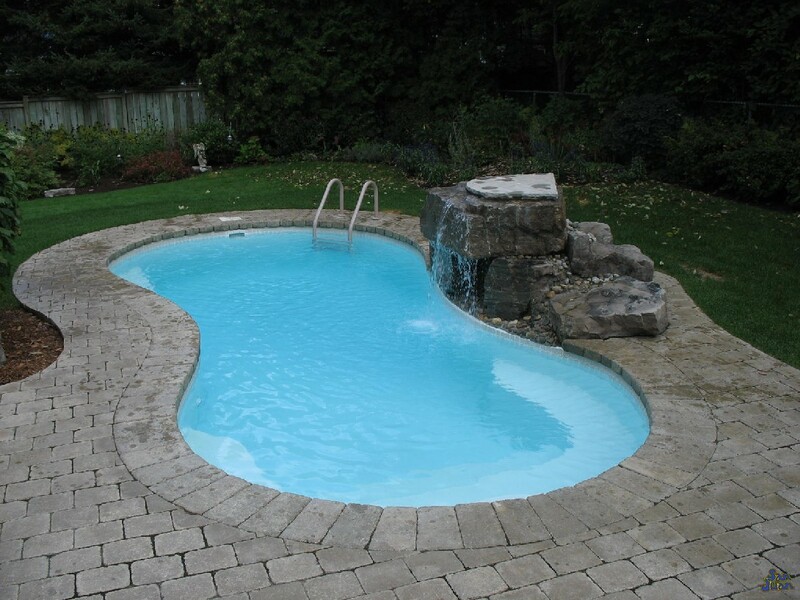 This fun fiberglass pool is perfect for your home and will fit nearly any backyard! Light it up at night for a stunning display and elegant allure! 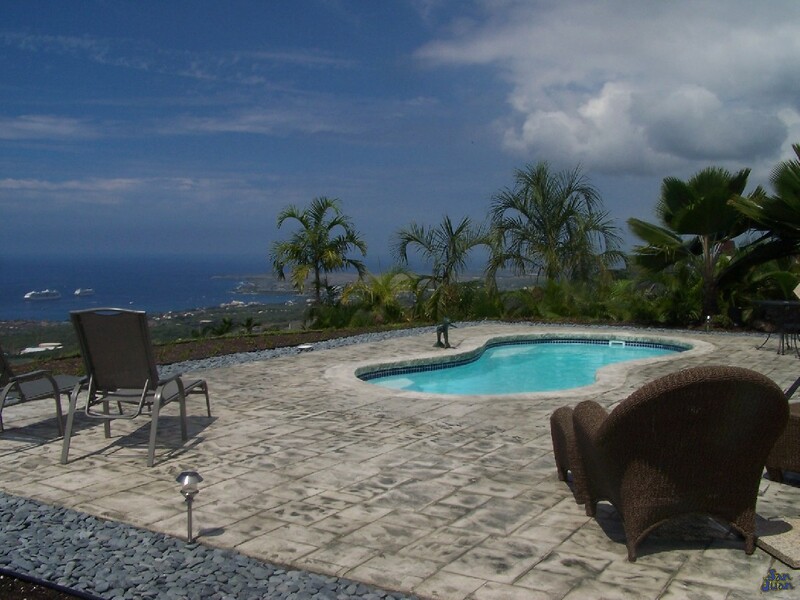 Alas, we have another stunning figure-8 fiberglass swimming pool to offer our San Juan Pools customers! This gorgeous free form pool shape sports is perfect for small to medium sized backyards. Despite it’s petite shape, it provides a total water volume of 6,600 Gallons. After wading into the shallow end of the Cocoa Beach, this stunning fiberglass swimming pool gives way to a maximum depth of 5′ 7″. 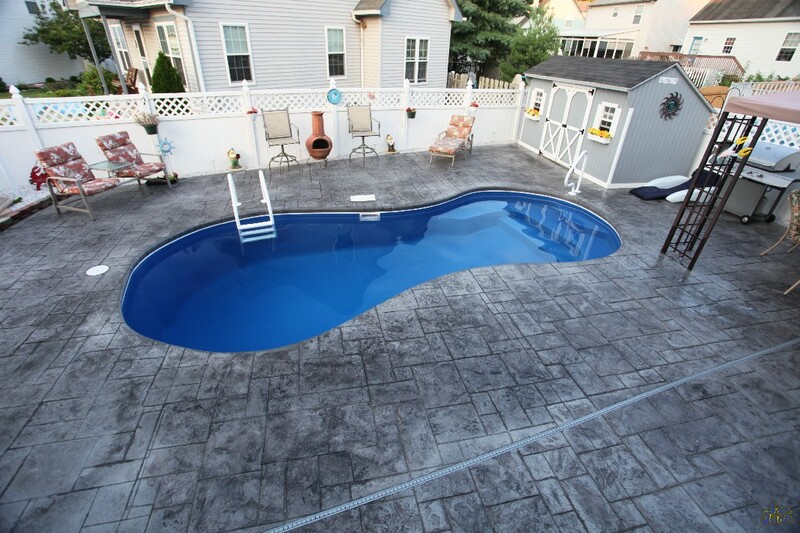 With a total length of 23′ 9″ this pool transitions from shallow to deep end relatively quickly. However, the Cocoa Beach still leaves the swimmer enough room for comfortable lap swimming. We recommend this swimming pool to consumers who enjoy regular water aerobic & pool games. Although petite in design, the Cocoa Beach feels larger than it appears. You’ll feel at ease in this elegant fiberglass pool and enjoy the many fun features that it has to offer. Join your friends and family in the shallow end steps & relax on the shallow end bench system. We’ve created this comfortable relaxation area so you can gather and enjoy some time outdoors and escape from the ordinary. As you spend more time in the Cocoa Beach, you’ll transform your time from ordinary to extraordinary! As you cast away from the shallow end bench, you’ll coast into this elegant backyard escape. 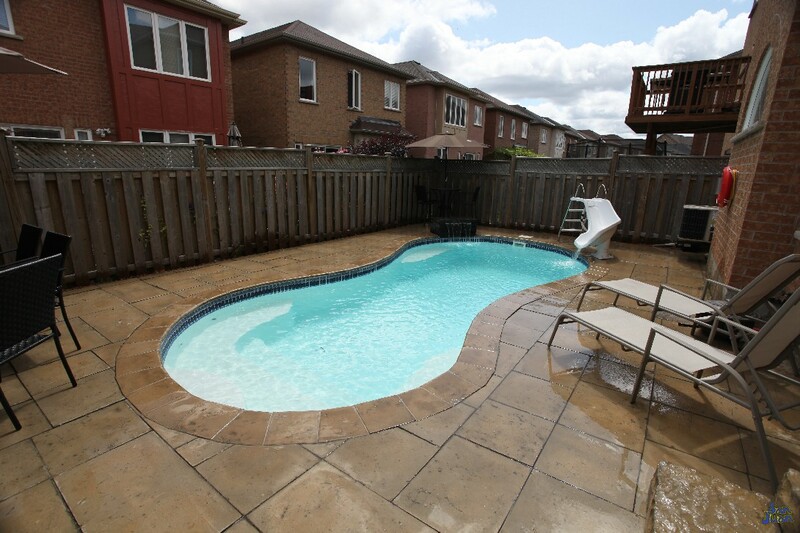 Our deep end of 5′ 7″ is a perfect place to situate a fun backyard game set. There are many types of pool games that are available to purchase and would compliment this are perfectly. Dress it up with a basketball set or situate some pool furniture around the edge of the deep end. The idea here is creating a gathering space for multiple outdoor activities for all to enjoy! In conclusion, the Cocoa Beach is a stunning illustration of the creative qualities of our San Juan fiberglass swimming pools! 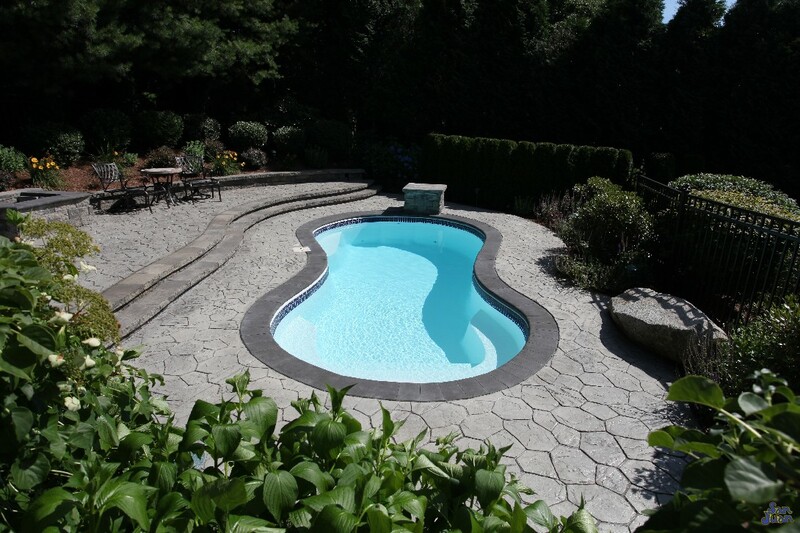 We design our pool shapes to be comfortable and provide ample space for lots of outdoor activities. Relax in our bench seating area for a fun gathering space; or coast into the modest deep end for some fun pool games. The Cocoa Beach is the perfect swimming pool to compliment your backyard fun area. Dress it up with LED lighting (shown above) or keep it simple with some relaxing pool furniture. We love this pool model because it is fully versatile and exceptional for many outdoor activities. Contact us to get in touch with one of our dealers. We’d love to give you a free estimate today!